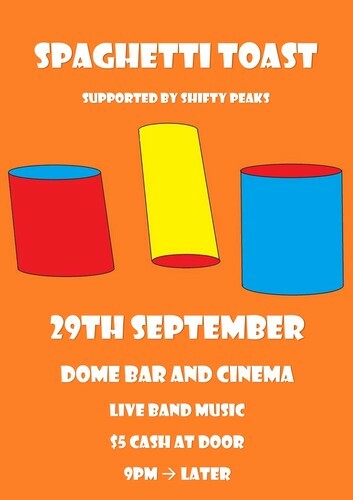 Supported by local band friends Shifty Peaks. Spaghetti Toast celebrate release of an LP. Music from 9pm till later. May even spin some vinyl Disco records if the mood is right. $5 transferred to 03 0751 0256832 025 with your last name as a reference, to be collected on the night.